For almost a thousand years, Scotland and England have been neighbour nations. For more than half that time, they were foreign countries, often at war. Four hundred years ago, they began to share a monarchy; three hundred years ago, they joined in a United Kingdom. 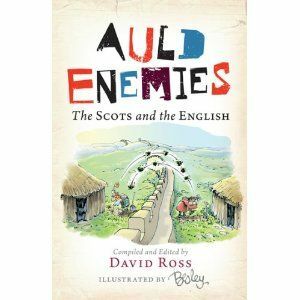 A new concept of 'Britishness' arose, but for most purposes Scots remained Scots and English remained English, and the old sense of rivalry remained. In olden times, a war of words and propaganda accompanied the fighting. As the countries got to know each other better and the fighting died down, the verbal exchanges continued, and became sharper, more wide-ranging, and funnier. This book provides a unique record of the long contest of verbal warfare across the Border, from its beginnings right up to the present day. Auld Enemies will be a useful handbook that can be enjoyed whichever side you're on.